Caroline Wozniacki on the other hand, faced 18 years old American Taylor Townsend, and won 7-6 6-2 in her first round game. Wozniacki will be facing 2 time Aussie champ Victoria Azarenka in her 2nd round, a tougher challenge to her first. 34 years old Venus Williams, a former world No 1 and 22 Grand Slam titles holder, had an easy debut in Melbourne park today, winning M. Torro-Flor in straight sets 6-2 6-2. Venus who hasn’t reached the semi-finals of a Grand Slam since US Open 2010, and hasn’t won a major since Wimbledon 2008, intend to rely on her experience to make her chances. Having been plagued with injury problems in the past, dating back to 2010, Venus is in her best form this year and is showing a robust comeback. What does the AO 2015 hold for her? Same tournament, same script, same cast. Victoria Azarenka beats Sloane Stephens for the third year running at the Australian Open in straight sets 6-3 6-2. Azarenka, former No 1 and 2 times AO winner, unseeded at this tournament due to fall outs last year because of injuries, will be facing another former No. 1, Caroline Wozniacki. Ms Wozniacki is still missing that first Grand Slam title to crown her career. Will the AO 2015 be it for her? It has not been a great tournament for the German top ladies as Petkovic loses to American Brengle 5-7 7-6 6-3 following Lisicki and Kerber out on round 1 in the AO. On the men’s side, 4 time Australian Open champion and World No. 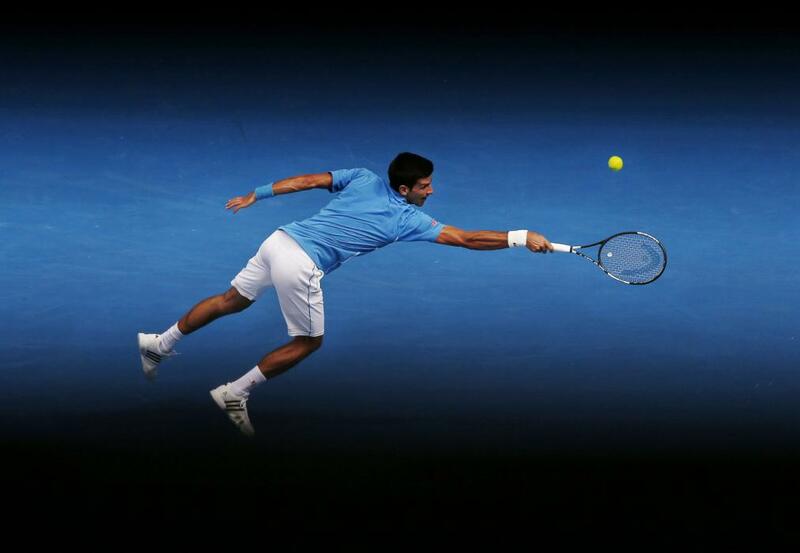 1 Novak Djokovic, browsed his way through the first round in straight sets against Aljaz Bedene. The first set was a bit slow for the Serb as he himself declared “it was a bit slow start from my side. He had nothing to lose, that’s what made him dangerous…I needed to stay committed, stay tough and try to dictate the play. It wasn’t easy to read his serve; he has a very quick motion. Quality player but I managed to win that crucial first set.” And after that, “it was a much better match for me” as the Serb himself admitted. Defending Champion Stan Wawrinka also had an easy victory in straight sets against Turkey’s Marsel Ilhan 6-1 6-4 6-2 in 89 minutes. 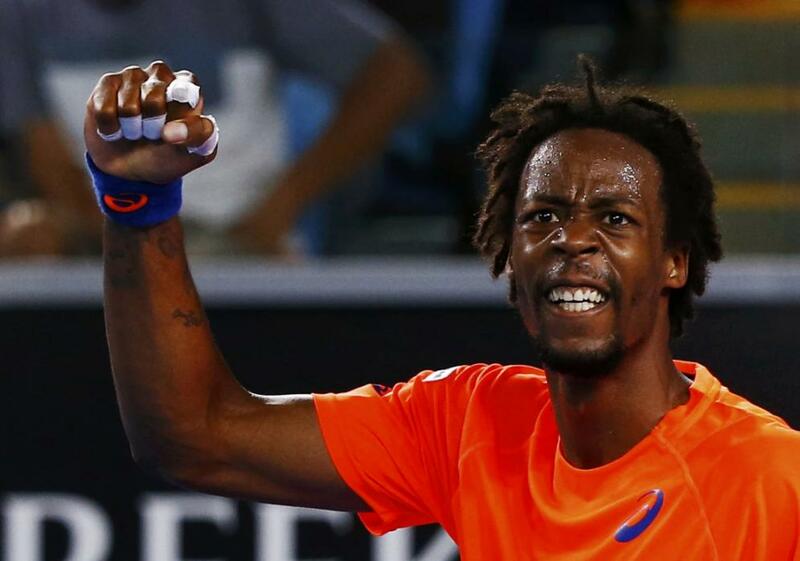 Fan favourite Gael Monfils came from two sets down to beat Lucas Pouille and advances into the 2nd round of the AO in a thrilling first round encounter. 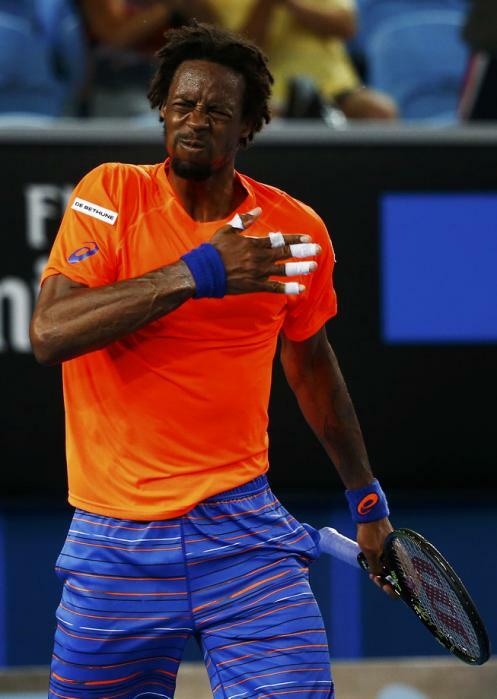 Monfils struggled in the first two sets with his rhythm and a niggling injury, losing them to his compatriot Pouille. But in his typical Monfils pattern, he found a new drive and came back full force to take the last 3 sets 7-6 6-4 4-6 1-6 4-6. Nishikori, Dellacqua, Raonic, Kvitova, G. Simon, A. Radwanska, Cornet, Muguruza and Isner progressed in straight sets to reach round 2 of the AO. Also advanced to round 2 are Australian L. Hewitt, Cibulkova, Ferrer, B. Becker, Verdasco, and Lopez. Eliminated are Almagro, Fognini, Benneteau, Pennetta, Dolgopolov and Schiavone amongst others. Day 3 looks exciting as Federer, Nadal, Sharapova, Halep, Murray, Bouchard and Tomic are all scheduled for Wednesday at Melbourne Park. Posted on January 20, 2015, in Sports and tagged ATP, Australian Open, Serena, Tennis, Venus, WTA. Bookmark the permalink. 6 Comments. Girl Serena is da BOOOMB! She shows no signs of slowing down anytime soon! Gotta love her strength! Hopefully Serena continues doing what he’s doing. As for Monfils, I pity the poor fans, he’ll soon break their hearts. Thanks for the updates and summary. Great write and keep it up.